Midland Lead Australia custom makes radiation shielded doors to suit your project specifications. Our radiation shielded doors are manufactured using finest quality materials you can trust. Our clients predominantly come from healthcare and construction industries requiring specialised radiation shielding products and materials to meet Australia’s current government compliance obligations. The properties of lead which appeal as an excellent shielding material within medical and construction industries are its density, high level of flexibility and stability, ease of fabrication and availability. The reason being material of choice within these highly-specialised industries, as it provides safety to both medical staffs, patients, and other personnel from unwanted exposure to stray radiation when using diagnostic X-Ray or therapeutic X-Ray. 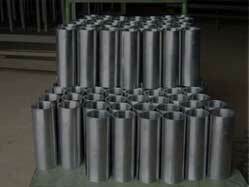 Midland Lead Australia carries a legacy in supplying the best radiation shielding products across Australia. Our radiation shielded doors are manufactured using best materials and workmanship available. At Midland Lead Australia, our quality control and inspections ensures you are receiving strongest and functional radiation shielded doors. We serve customers all over Australia from project managers, estimators, builders, project engineers, and architects working on new fitouts for X-Ray and Dental rooms. We have also worked with many renowned Australian Universities looking to install research laboratories and facilities with radiation shielding products. We offer wide range of radiation shielded doors designed for use in industrial and healthcare industries. Available as sliding or hinged, all doors are manufactured per the specification provided by customers to fit structural opening where radiation is required. The doors are manufactured as per customers specified board materials such as MDF, STRUCTURAL PLY, and PLASTERBOARD and GYPROCK wood and laminated with specified lead weight to the door using heat laminated press on each side of the lead. What thickness of lead do you require to be bonded onto the door? (You may wish to refer to architect specifications or clarify with a physicist). Type of door board material and door thickness required? (You may wish to refer to architect specifications or clarify with a physicist). Do you have the measurements for the doors and glass? (You may wish to refer to architect specifications or clarify with a physicist). Midland Lead Australia requires customers to provide us with L X W X H of the lead lined door as per the project specification drawings. 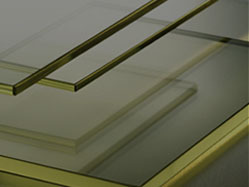 Do you ALSO require lead glass? 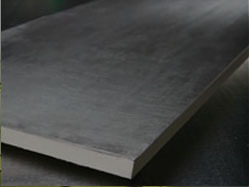 Lead sheet used for radiation shielded doors comes in variety of thickness ranging from 0.44mm to 3.65mm. Furthermore, Midland Lead Australia also supplies radiation shielding doors with viewing panels.